As school is probably out by now in your neck of the woods, this idea probably will not help you this year, but keep this in mind for future year-end Teacher gifts! Since I had so many to buy and make, I planned ahead so the cost was spread out over a couple of months. I purchased the double wall cups with hard lids and straws from the dollar store earlier in the spring as they were beginning to stock their summer inventory (I had been looking for ones with designs on them, but the only ones my dollar store carried were solid colors, so I knew I'd have to jazz them up a little!) I purchased packets of Crystal Light singles along with my groceries as they went on sale or when I had coupons and stashed them away. And for a several weeks, each time I went through the drive through at Timmy's, I purchased a $10.00 gift card (such a good excuse to stop for coffee!). 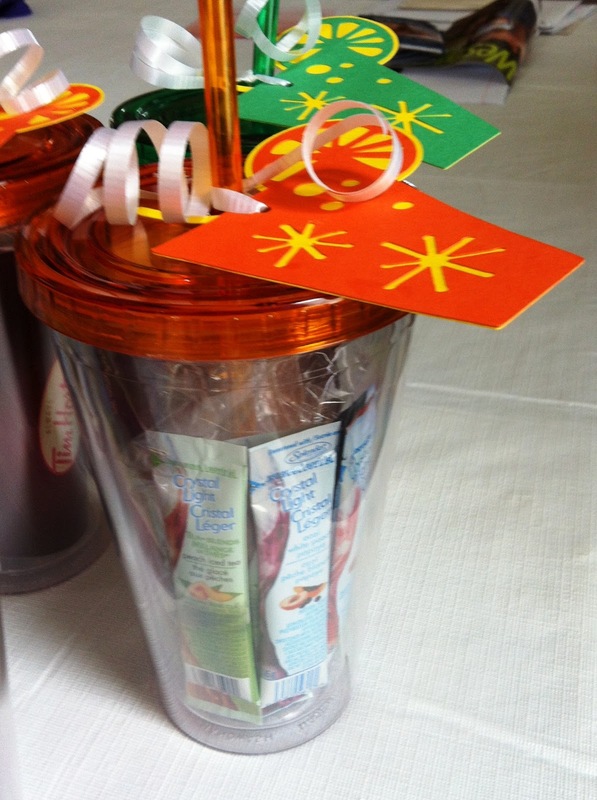 Assembly was easy...put 4 or 5 different varieties of Crystal Light Singles in the cup along with the Tim Horton's card, add some clear cellophane for "ice" in the center and screw on the lid. 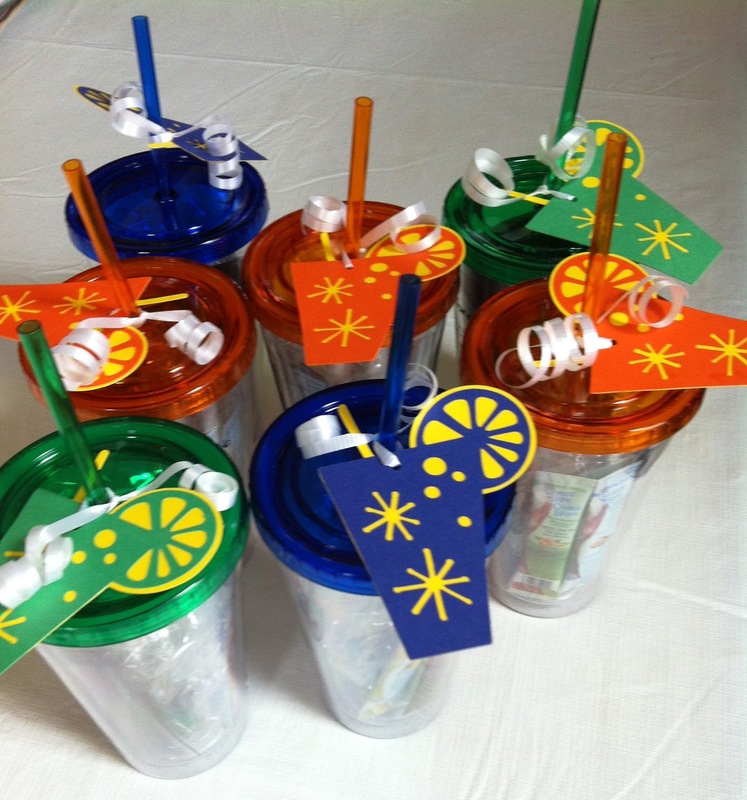 I cut the drink tags at 4 inches on the Cricut using the CM Traveller cartridge from coordinating blue, orange, green and yellow cardstock and wrote a little message to have a "Refreshing" Summer! No wrapping was required as they were self contained and looked so cute on their own! (The orange one is my favorite!!!) They were a hit with all the teachers and I truly hope they enjoy them!